Surprisingly (or unsurprisingly), braces aren’t a new invention. 1819 – Christophe-Francois Delabarre invented the very first wire crib. It was a half-circle device that can be placed on the teeth and it was a very early model of the dental brace. 1843 – Dr Edward Maynard first used gum elastics to correct improper jaw alignment. His technique enabled the jaw to be aligned correctly slowly with the pressure from the wire. 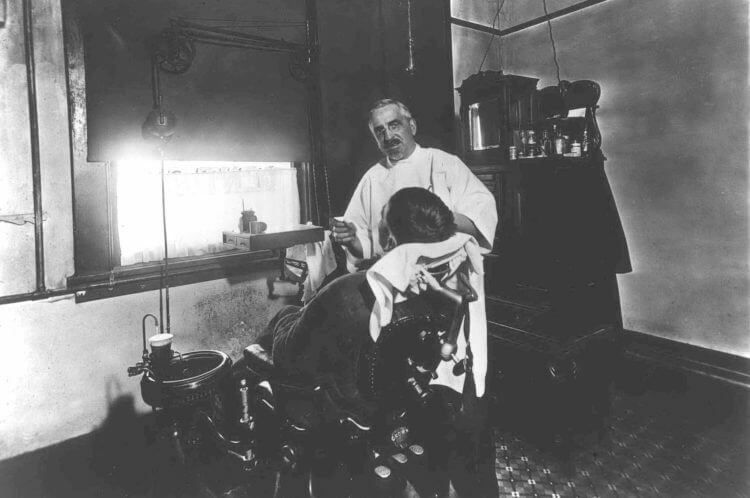 1894 – Eugene S Talbot was the first dentist to use X-rays during orthodontic procedures. Using X-rays enabled dentists to get a completely accurate picture of what was happening with their patient’s teeth. 1980s – Invisible braces were developed in conjunction with NASA in the 1980s. Invisible braces have been available to patients ever since they were first introduced in 1987. There’s no longer any need to have fixed, metal braces. You can have convenient, custom-made invisible aligners that are just as effective as traditional braces! Don’t change your lifestyle, just change your smile! 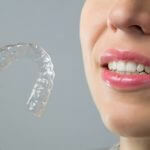 Find out more about Invisalign, the innovative invisible aligner system, here. Top image shows Beaverton, Oregon’s first dentist, Dr. Hetu, around 1900.